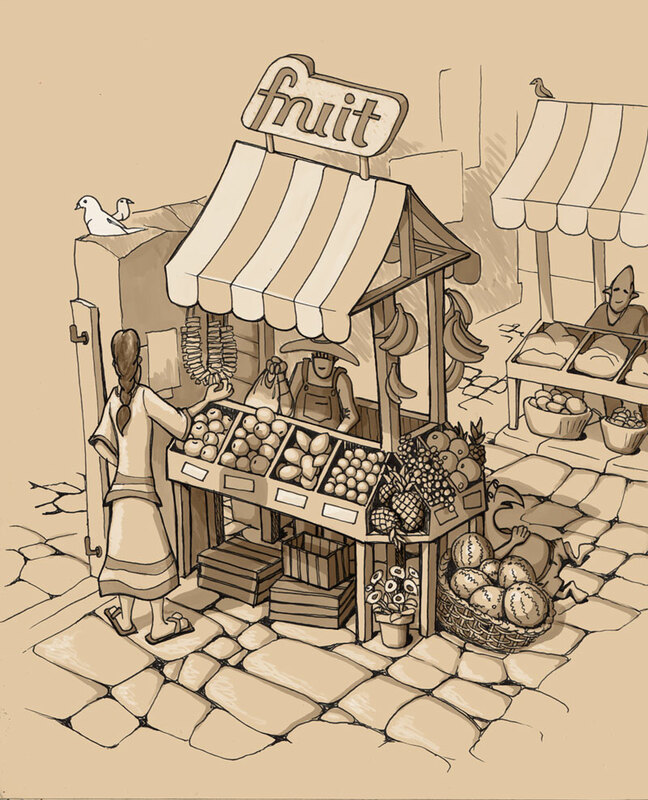 I just drew a fruit stand in an open air market. How much more summertime can your get? I must be getting tired of winter already! This sketch was done with a fine point sharpie and shaded in photoshop.